Loquendo products will end their GA in September 2013, with expansion availability for latest versions allowed until December 2014. 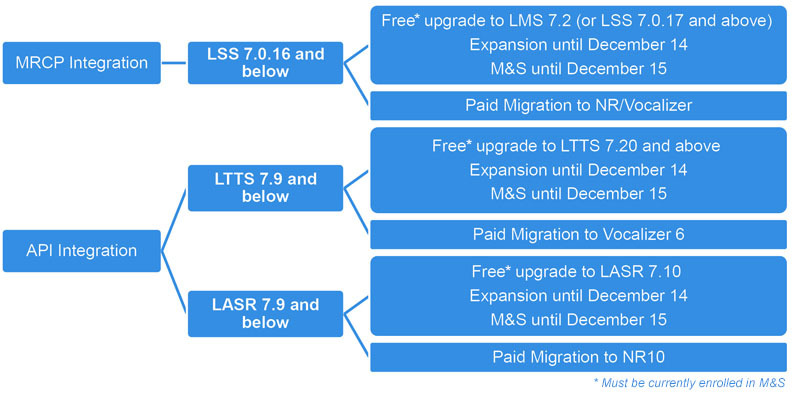 This document describes the offer which has been defined to migrate Loquendo legacy customers to Nuance, including application migration. For additional information regarding the legacy Loquendo to Nuance migration offer please contact a Diagenix Sales Engineer at 866-425-6600 or sales@diagenix.com.